Apple just launched an Instagram account to highlight photos shot on iPhones. 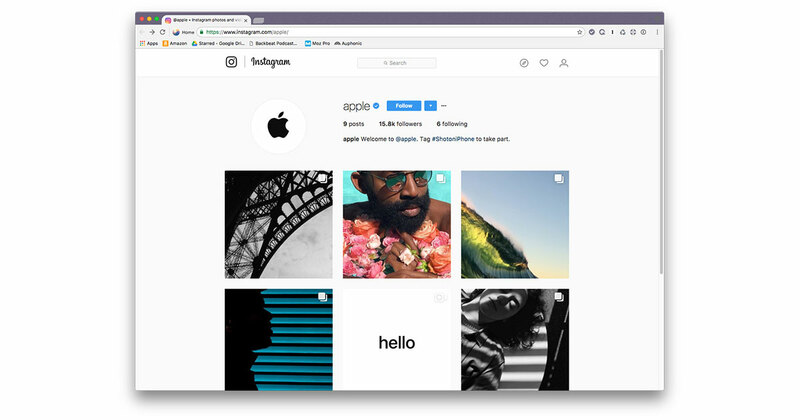 Right now the account has a handful of videos showing off different photographer’s work, but soon there’ll be more because Apple will be watching for the #ShotoniPhone hash tag. Over time Apple’s Instagram feed will no doubt have some amazing shots that highlight the quality of photos you can snap with an iPhone. Now I need to go back and add #ShotoniPhone to some of my pics.